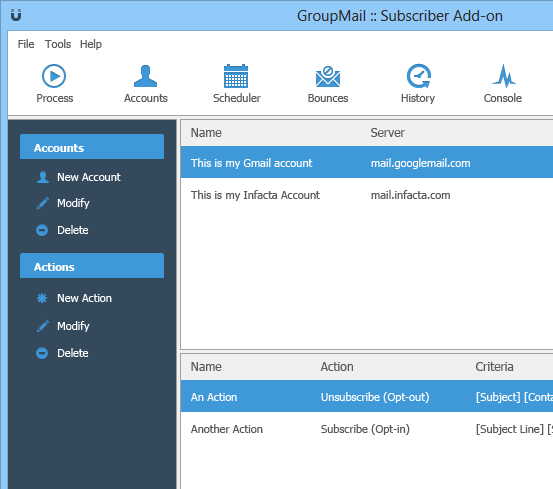 GroupMail Version v6.0.05 is now available to download from the GroupMail Customers Area. This month we’re releasing a new GroupMail 6 Subscriber add-on to make it even easer to manage your opt-ins, opt-outs, bounce messages and much more. We’ve also made a change to improve the speed of sending, as well as some other updates and fixes. Remember: If the Upgrade Protection on your license is expired and you want to download this update, you can renew the Upgrade Protection on your license by clicking the Extend Cover button in the GroupMail Customers Area.